BE SURE TO TAKE ADVANTAGE OF OUR POSTAGE-PAID OFFER: Get your samples shipped back to our Lab— FREE— by EXPRESS MAIL--NEXT DAY DELIVERY!! 3. We will send you a postage-paid Express Mail envelope to ship your Bacteria AND your Chemical Grouping samples (in same Express Mail envelope) back to our lab in— WE PAY THE POSTAGE!! 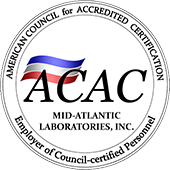 You can depend on Mid-Atlantic Lab for FAST, ACCURATE service! 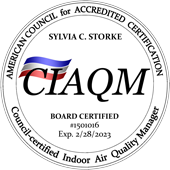 ©2015 Mid Atlantic Laboratories, Inc.